Dinner and a… Jousting Tournament? Have you visited Anaheim? What did we miss? The rain continues to fall here in Vancouver, which means winter’s frosty chill is right around the corner. 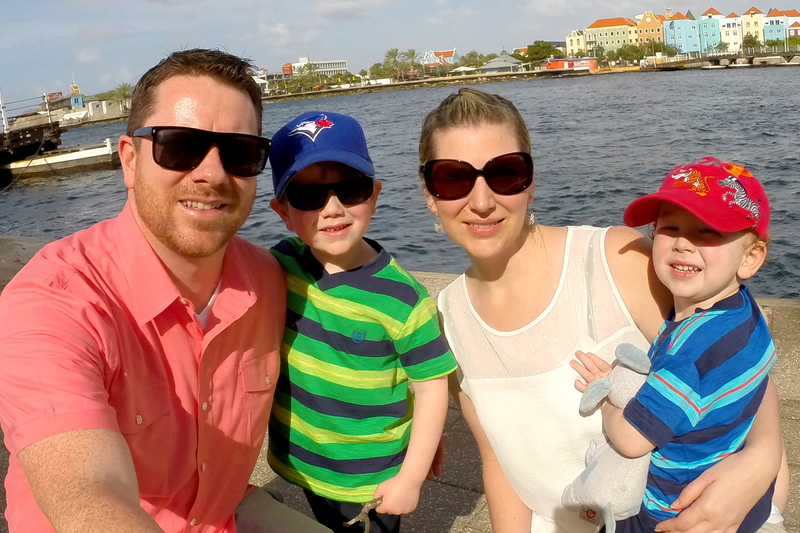 Like many Canadians preparing for short days and cold nights, we’re in the process of planning our family vacation to warmer destinations. For us, that typically means heading south to California. 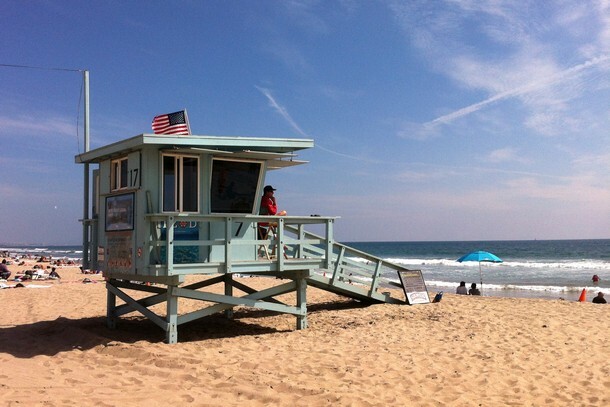 Direct flights from Vancouver to Los Angeles are short and inexpensive, so it’s an ideal destination. Plus, we don’t have to deal with time zone changes, which is always a bonus. Search for cheap Anaheim hotels here. We’ve visited California four times in the past five years, so it’s definitely become our ‘go to’ destination for a quick escape from Vancouver’s wet winters. Now that our boys are 5 and 3 years old, Disneyland has entered the conversation. They don’t really know about Disneyland, yet, but they love most Disney characters and we know they’ll enjoy the parks, rides and attractions. We hope to take them to Disneyland in a couple years, when they’re old enough to remember exploring the Magical Kingdom. While Anaheim is widely known as the mecca for theme parks and all things Disney, there’s much more to this sun-splashed Southern California city. With that in mind, we’ve partnered with Visit Anaheim to share some of the other things to do in and around Anaheim. Even if you’re not a hockey fan, watching a live hockey game is always fun. Being stereotypical Canadians, we love hockey and always look for games when we’re traveling. Many Canadians, especially those on the west coast, make it an annual ritual to visit California to watch their favourite team play as the visiting team. It’s a fun experience to wear your jersey and cheer for the ‘bad guys’. I remember the days when the team was named the Mighty Ducks of Anaheim, after the popular 90’s movie starring Emilio Estevez (remember him?!). It seemed so strange to have a professional hockey team in California. Fast forward 20 years and California is home to some of the most competitive teams in the NHL. Now imagine this – you get to watch a hockey game while wearing shorts, t-shirt and flip flops. It’s the best of both worlds! See the Anaheim Ducks schedule here. Okay, so you can’t technically catch a baseball game in the middle of winter, but while we’re on the topic of sports, it should be mentioned that the Angels have one of the best ballparks in the major leagues. Typically the season starts the first week of April, so keep that in mind if you like watching live sports. See the Anaheim Angels schedule here. Regardless of what game you catch, check out the Stadium Promenade located across the Santa Ana River. It’s located within walking distance to both the Honda Center (Anahiem Ducks) and Angel Stadium. The Stadium Promenade has a variety of restaurants including Prime Cut Cafe & Wine Bar, Chili’s, King´s Fish House, Lazy Dog Café, The Pint House, Who Song & Larry’s Cal Mex Cantina and Tilted Kilt Pub & Eatery, to name a few. If you’re looking for a one-of-a-kind experience, check out the flight simulator at FlightDeck. The facility has state of the art military flight simulators that allow guests to feel what’s it’s like to fly a fighter jet or commercial aircraft. It’s the ultimate aviation fantasy come true! No experience required. You receive classroom training and in-flight instruction at the facility. It’s open to the general public and caters to families. Our boys love zoos and aquariums, so we try to include a visit to them whenever available. The Santa Ana Zoo is a 20-acre zoo that focusing on the animals and plants of Central and South America. It has over 350 animals and several family focused attractions, including the Conservation Carrousel, Amazon’s Edge, Crean Family Farm, Zoofari Express train ride and the Rainforest Adventure Maze. Plan to spend about 2-3 hours at the zoo. It’s located just off the I5 freeway, about 10 minutes south of Anaheim. The GardenWalk is a 460,000 sq ft outdoor entertainment and shopping center located a block east of the Disneyland Resort in the Anaheim Resort District. The center features a 14-screen multiplex, the upscale Bowlmor Lanes and a multitude of restaurants, including FiRE + iCE (all-you-can-eat spot has Mongolian-style open grill), McFadden’s Anaheim and Heat Ultra Lounge. While we’re on the shopping district theme, another fun place to visit is the Center Street Promenade, located in the Anaheim Colony Historic District. The popular strip is home to several outdoor cafes, trendy boutiques and unique eateries. It also hosts a Farmers Market, seasonal art shows and street fairs. Shops and upcoming events here. Located in the heart of downtown Anaheim, at the intersection of Anaheim Blvd and Santa Ana Street, The Packing House is a restored citrus packing facility that now features 20+ artisan eateries with live music on the Mezzanine Stage every weekend. While at the Packing House, take a stroll through Farmers Park and enjoy a frosty pint at the iconic Anaheim Brewery, a revived pre-Prohibition brewery with a Tasting Room and Beer Garden. If you’re looking for a unique dining atmosphere for your family, look no further than the Medieval Times Dinner & Tournament. Basically, you have diner in a stadium-like theater while costumed Knights compete in staged medieval games, including sword fighting and jousting on real horses. It’s fun for all ages. More details and reservations here. If medieval jousting is not your thing, or seats are sold out, check out the Pirates Dinner Adventurea block away. It’s a similar theater dining experience but with a pirates theme. Step back in time and visit the historical Farrell’s Ice Cream Parlor in Buena Park. Give yourself a cheat day and sample its famous ice cream sundaes, floats and shakes. The menu is quite impressive. Servers are dressed in pin-stripped vests and cane hats, and the restaurant features the distinctive “old Farrell’s” appearance of a century’s past ice cream parlor. While not technically in the Anaheim area, a fun activity is taking a whale and dolphin watching cruise that departs from nearby Newport Beach. The family-friendly cruises depart from Newport Harbor in Newport Beach, the closest ocean harbor from Anaheim (about 20 minutes). Winter and spring months bring the annual grey whale migration with over 10,000 gray whales passing along the Californian coast. Along with gray whales and blue whales, see humpback whales, minke whales, finback whales, and many species of dolphin year round. Share your favorite Anaheim activities and recommendations in the comments section below. Great tips! 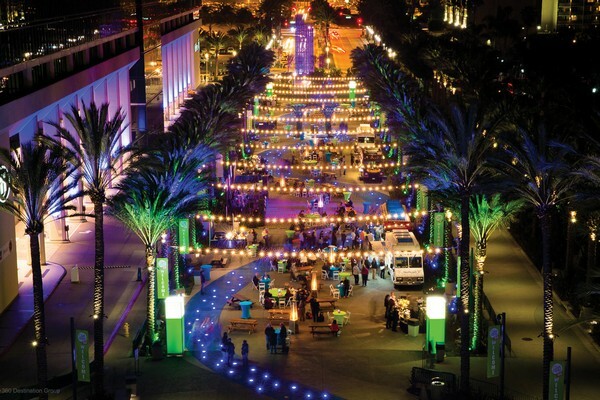 There is so much to see and do in and around Anaheim! What about Downtown Disney which does not need any tickets? Free of cost and yet a place packed with people, music, lights and stores.